Have you ever wondered why you played the claw machine 10 times and lose and the next person behind you puts in one quarter and wins? It turns out, those claw machines are likely rigged. 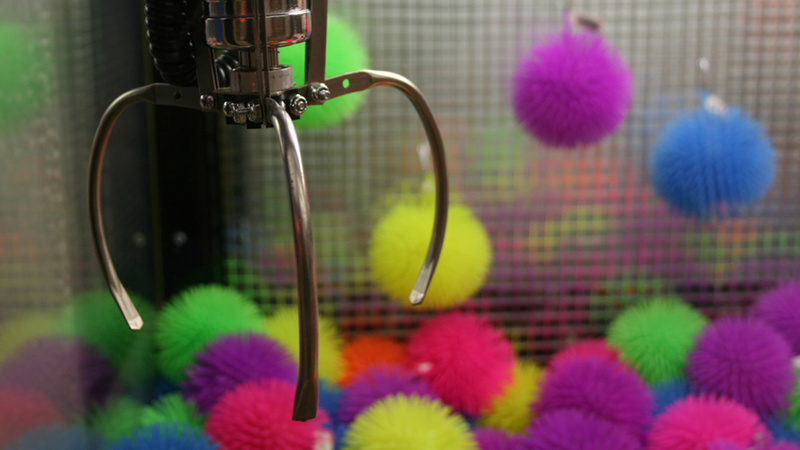 A recent investigation by blogging service Vox Media found winning a stuffed animal in a claw game has little to do with skill and more to do with chance. Vox took an in-depth look into the software that runs claw machines. It found that there are adjustable settings that can determine the strength of the claw's grip and how long the claw can hold that grip at maximum strength. The owner of the machine has the ability to tweak the settings to their standards. Newer machines even let owners change the settings on the fly using a smartphone app. The owner can also set a "dropping skill" to tease you, meaning the claw can be set a certain amount of times to drop the prize before you can get it. The machine's algorithms can be set based on the profit the owner wants to receive. Vox included the following paragraph in their report from a BMI Gaming claw machine instruction manual that explains just how rigged the machines are: "Managing profit is made easy, simply input the coin value, the average value of the merchandise, and the profit level. The machine will automatically calculate when to send full strength to the claw." The video further explains in the 1950s, the government classified the machines as gambling devices, but new relaxed regulations in the 1970s led to them becoming a staple in stores and restaurants. Association magazine Vending Times responded to the article Vox published. The response didn't address any of the allegations about the machines being rigged - instead only stating that "industry leaders in the amusement market self-regulate according to the law" which it claims are unclear in most states.